I’ve not seen this much blue bonnets in my whole life! The funny thing is after we took photos at the blue bonnet field, hubby had to save a few ladies from some car trouble (their SUV got stuck in the sandy area), after several tries and still no luck, the grandma of the group went to flag a few motorists down, we almost got a stern talk to by the property owner. You see wild flower viewing is not without it’s dangers! A sea of prickly white poppies hubby spotted while we were just driving around. What’s a posting about Texas if I don’t throw in a few cows? Anyhoo, the weather has been unusually warm, and I would rather not stand over the stove if I can help it, so here is a very simple recipe that pretty much involves no labor, though you can not tell by the taste of the wings, the family ate them up and I was delighted, enjoy! In a plastic bag, mix all ingredients then add chicken wings; toss gently to coat. Refrigerate at least 2 hours to marinate. Remove chicken from marinade; place in 4- to 6-quart slow cooker. Add about 1/2 cup of the marinade; set aside any remaining marinade. Cover; cook on High heat setting 4 to 5 hours. Turn on your oven broiler. Remove the cooked wings from the slow cooker, place them flat on a baking sheet, baste with the marinade, broil for 5-6 minutes depending on your oven. I served the wings over a bed of flattened vermicelli, drizzle any remaining sauce over the wings. Thank you Bam! If you did use this wings recipe, I sure hope y’all liked how it tasted! The wild flowers are insane this year everywhere we turn there are more colors. The sad thing is as we drove back to Houston, there were less and less, I guess the positive side is we will be making this road trip every year! hi Jeno, love those wings, and such a simple recipe – just the thing. And thank you for the wonderful pics! I just adore wildflowers, what a treat that must have been. Good for the soul. Hi Jenny! Thank you for liking this simple recipe, I will be making another crock pot dish tonight, who needs to stand over the stove when slow cooker does it’s thing so beautifully! 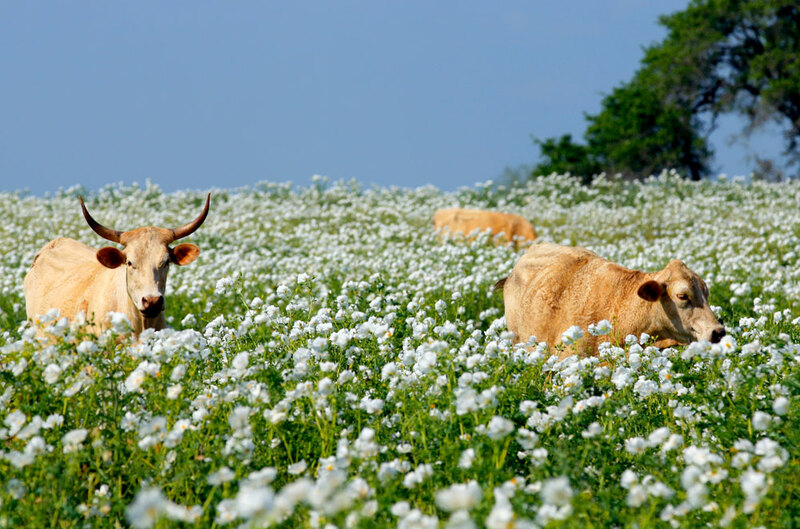 I love love love the photo with the cows in the meadows. I can just imagine breathing in that fresh air, and seeing all that greenery and spring colours, pretty jealous really! the slow cooker teriyaki wings looks delicious btw. might just do that in the weekend! Please let me know how you like the wings if you do make them! 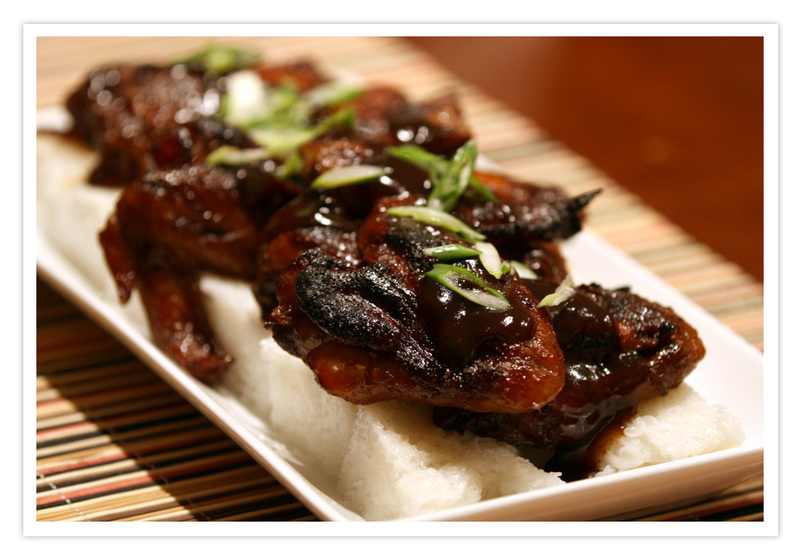 Teriyaki wings, breast or any other chicken part are one of my favourite dishes and yours look gorgeous! Unfortunately I don’t have a slow cooker and cannot make this experiment. (Slow cookers are not very popular in Europe, at least in the parts of Europe I know). The flowers are amazing! Thanks for sharing the beautiful photos. Hi Sissi! I had no idea slow cookers are not popular in Europe, I remember back at Taiwan my Mom used her trusty crockpot a lot, and here we can buy them very inexpensively. What a bummer this is not the case at your neck of the woods! Just like what the song says “Good things might come to those who wait.” This chicken must be so flavorful, so it’s worth the wait. 🙂 Thank you for sharing the recipe and the beautiful field. And you have a beautiful family, Jeno! Thank you so much Ray! I use my slow cooker at least once a week, especially on Thursday when I accompany my little girl to piano lessons. It’s always great to walk into a house that smells aromatic, and knowing dinner is ready without lifting a finger is pretty awesome! Jeno, these photos are just breathtaking! They make me so proud to live in Texas. Hopefully I can call myself a Texan after a few years, haha! Wonderful wings recipe, too. They look mouthwatering! Hi Cindy! I love your family pictures and your solo! Such a beautiful place. I don’t remember last time I was in the flower filed! So gorgeous! Hi Nami! Hope you are having a great time at Japan! For some reason I thought everyone would have a slow cooker readily available. In fact I have 3 at home, they come in real handy when it’s the holiday season (food warming for buffet parties). Now bread machine would get me in a lot of trouble, all the carb, yum! 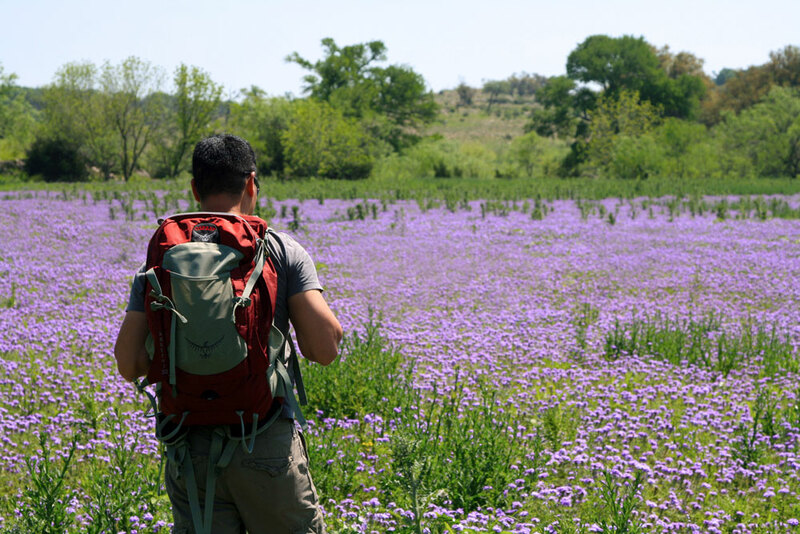 We love to go on our annual wild flower road trip, normally we take 1 day to drive around Houston, and the next weekend we would drive to the hill country for some REAL flower showing! Hi Jeno! Tks for sharing all these awesome pics and I love them all especially your family pics! So sad to admit that I’ve never seen a blue bonnet before! HI Lyn, long time no talk!!!! I am sorry you’ve not seen a blue bonnet before, but it’s ok, I am hoping there are lots of beautiful Spring flowers around your neck of the woods also. Yes, Slow cookers are AWESOME! In fact our dinner is being slow cooked right now, it’s going to be the pork, egg and fried tofu noodles. Yum! You’ve just reminded me I should get my poor slow cooker replaced. … it died of old age 🙂 and a slight injury. Sigh, so sad, I’ve loved using it. Turn it on and forget about it til your tummy growls. This is another great idea to use the slow cooker. I’ve never thought of precooking wings before grilling. Hahaha Ping, Yes Moo to you! Slow cooker is amazing! The meat normally turn out much more flavorful and tender, I realize by broiling the cooked meat for 5 minutes, it dried out the extra moisture, and made the wings/ribs crispier, the family enjoyed them so much! Hope you get that new slow cooker real soon! I really need to get a SLOW COOKER ~ this is such an easy and tasty recipe! Thanks for sharing! Happy Easter and hope you spoilt your little girl rotten with lots of Easter Eggs! Hi Daisy! Sorry to hear the weather at your side of the world is the opposite of Houston, we are definitely have a great weekend, not humid, just sunny and mild weather. This happens very rarely so everyone’s outdoors enjoy the day! We got darker again and I had to go get different mineral foundation, haha! Slow Cookers are a must have for me, hope you will get one soon and enjoy effortless cooking. Happy Easter to you and Mr. Bao also! Thank you Yi! 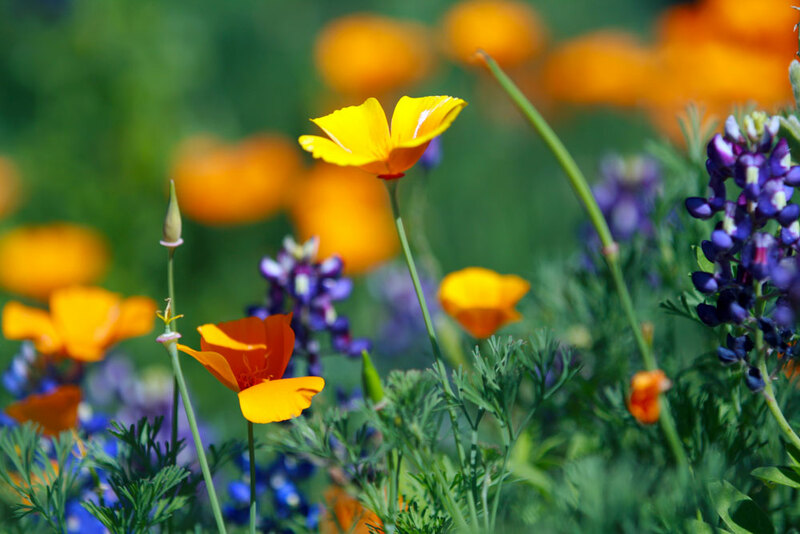 Having a picnic in the wild flowers would have been wonderful, we are still seeing different ones sprouting up, Spring in Texas is just wonderful! Beautiful photo and you look so gorgeous 🙂 Plus the wings .. total YUM! I can eat those non stop. I love teriyaki wings anytime. Hi Kankana! Thank you for the compliments! These wings are so yummy and almost labor free, gotta make them soon! I’ve been enjoying your photography, keep up with the great work! 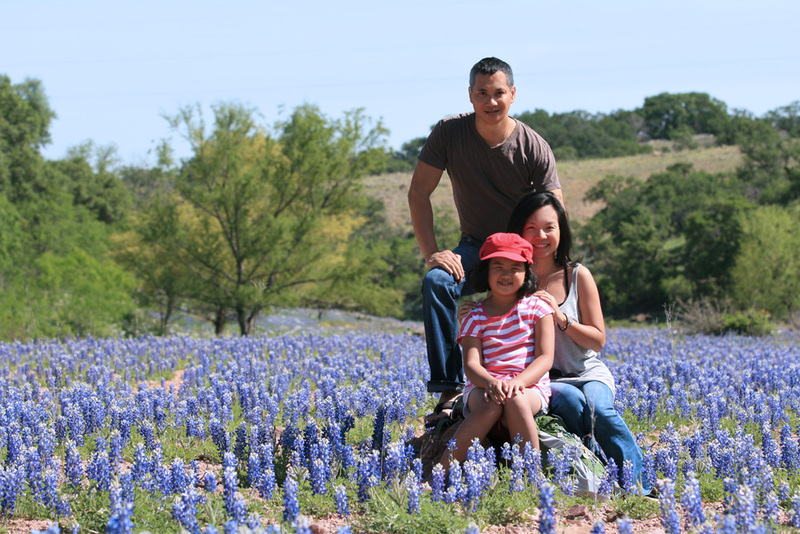 I grew up in Texas and totally miss those bluebonnets! Those wings look sticky and delicious! You are kidding Laura, a fellow Texan! 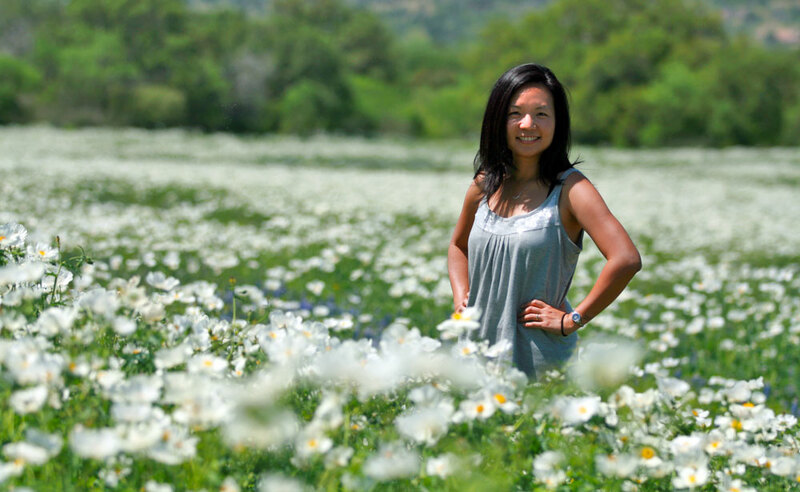 The flowers were everywhere this year, last year’s drought and this year’s abundance of rain really made things happen! Cindy, what an incredible trip! I would love to go through all that beautiful flowers..nature lover here! :)) Never been in Texas before..so I appreciate your beautiful scenery seen on your photos! You have gorgeous family..glad you all took some time to enjoy together! Btw..your Teriyaki Wings look finger licking..yummy!!! Thank you Miss Kimbers! We do feel blessed living in Texas around Spring, Fall and Winter, too bad the 6 months of Summer can be pretty brutal!